During my yoga retreat in Montana, part of our “required reading” was an article about the research of Stanford professor, Carol Dweck, Ph.D., on motivation, achievement, and success in learning. 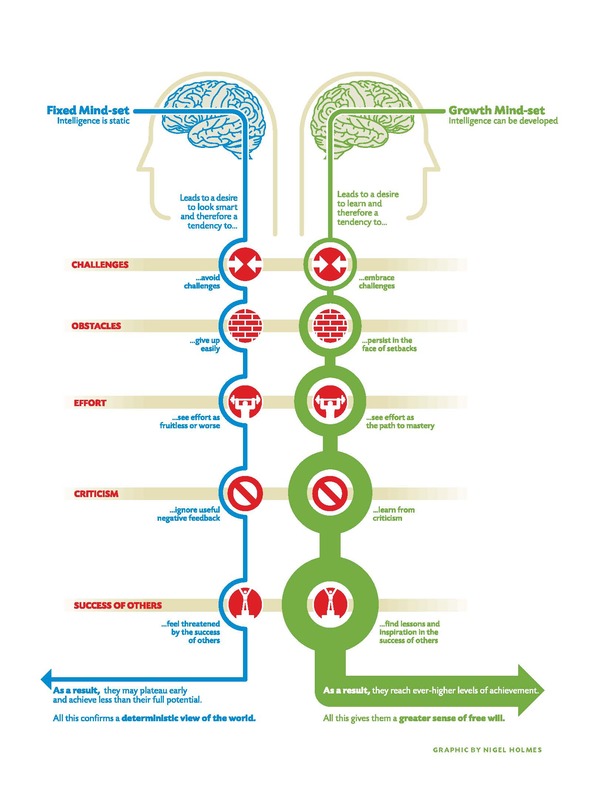 Dr. Dweck categorizes learners into two camps: those with a fixed mindset and those with a growth mindset. In a nutshell, those with a fixed mindset believe intelligence and talent and predetermined – and those with a growth mindset believe, with enough effort, anything is possible. Growthies aren’t afraid to try, fail, try, fail, try, fail, fail, fail. Growthies have “grit”. Growthies are concerned with the process and the effort. Fixies are focused on the outcome. Most of us fall somewhere on the continuum, but I must admit, I’m from the Fixie tribe – not the Growthies. Sure, practice will make improvements, but only so much. I “know” intelligence isn’t malleable. And that, according to Dr. Dweck, is my problem. Is this why my culinary aspirations have stalled? Is this why I’m jealous of my fellow chef’s accomplishments while I look on from the sidelines? In the kitchen, I’m focused on the final dish, the finished product, what the other chefs are doing, and how I don’t measure up. What if I gave myself permission to play in the kitchen, if I tried to make a dozen awful dishes, if I cooked like no one was watching? This entry was posted in Uncategorized and tagged Carol Dweck, change, cooking, Culinary School, Fixed Mindset, food, Foodie, Grit, Growth Mindset, Life, personal, random, thoughts, Yoga by Julie "Phoren" Seyler. Bookmark the permalink. I think of myself as more of a “Fixie”, but from the chart I see that I’m half and half. This Carol Dweck should Fixie her mindset about there being only 2 different sets of people and Growthie a bit to incorporate a few other different categories. note: when people list only 2 options, they usually don’t know what they are talking about … or what the other people are talking about. hee hee!